With the hustle and bustle of the holiday season possibly you hadn’t heard the Lord Baltimore Hotel has a new restaurant, The French Kitchen and it is now open for lunch and dinner. It is one of the first spaces open to the public in the current renovation by new owners The Rubell Hotel Group. The Lord Baltimore Hotel, a landmark hotel since 1928, radiates its old world charm. The French Kitchen is spacious with the high ceilings, tall mullioned windows, mirrored walls and eye-candy antique accoutrements. 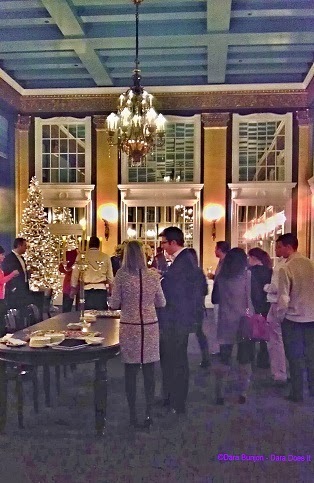 Just prior to Christmas, the media were invited in to The French Kitchen view the refreshed space and partake of a tasting by created by their Executive Sous Chef Jordan Miller.